Marketing: a good grip that doesn’t let go. The challenge of any direct marketer is to hold the enchantment of the buyer from the moment of first interest until the next order. Let me tell you how the United States Golfing Association had me firmly in their grip. Mind you, I have always been attracted to mail order. As a kid, my first experience with mail order was a Robin Hood hat off the back of a Quaker Oats box. I wrote them a letter with a dull purple crayon. 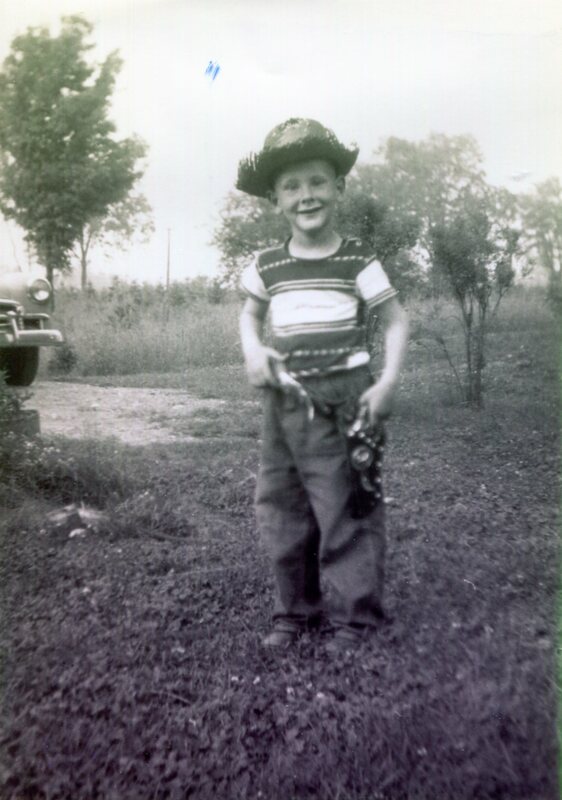 Two box tops, a quarter, and four weeks later, I was decked out in a lincoln green cap complete with turkey feather. Moments later I dissolved onto a path through the tree line behind our house, earnestly in search of rich people to steal from. My brother and I followed up with another offer, this time, a potato gun from Nabisco Shredded Wheat. More box tops, more coins, more waiting, and our ordnance arrived: two shiny, plastic, blue and red hand guns. The properly outfitted small arms mail order buyer. Operating instructions were basic. 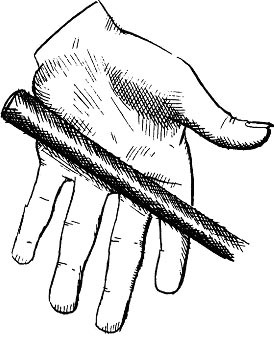 Stick the front of the barrel into a potato, and pull away a small plug about the size of a pencil eraser. Choose a target. Pull the trigger. The little wad of potato would fly across the living room and roll to a stop under the couch. After a couple of potato bits wound up in the electric space heater, the jig was up. But the magic remains. It’s important for cataloguers, mailers and weekend supplement advertisers that their buyer squeezes every bit of enjoyment possible from the order cycle. There is an inexpressible excitement in opening a long awaited package sent by complete strangers, far off and away. 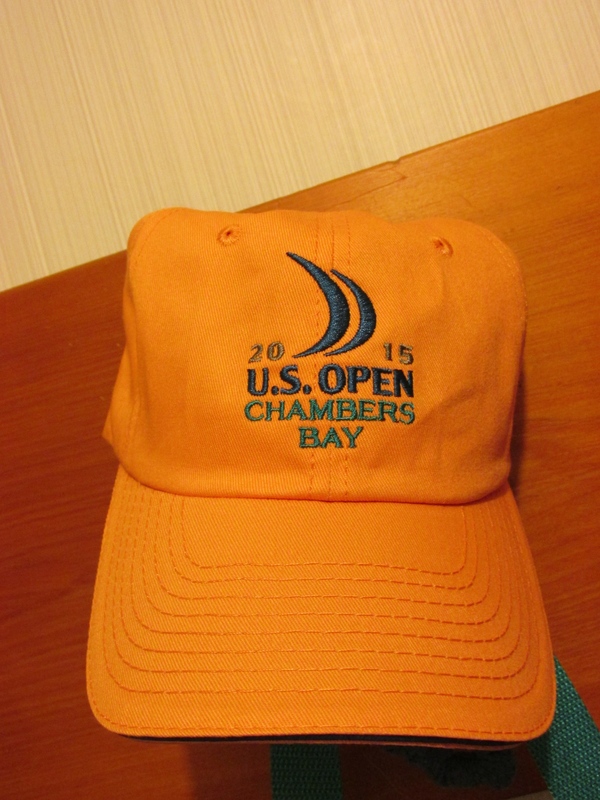 I had sent in my USGA membership renewal, and according to the letter I would receive a hat: an orange 2015 USGA Chambers Bay Open cap. I already had one, but if it blew away, I’d have back up. I am certain that the USGA Board of Directors convened a special meeting, extensively reviewing my application before granting my membership extension for another year. A no brainer for them, this was an important symbolic order of business, for which they would levy a $15.00 fee against my credit card. From there, I visualized urgent instructions hammered out on the teletype, dispatched to the membership fulfillment department, ordering them to rush a member package to our home, sparing no cost. The long awaited, hoped for package arrives. Like a glistening white, dimpled Titleist, teetering on the edge of the cup, I waited by the mailbox. 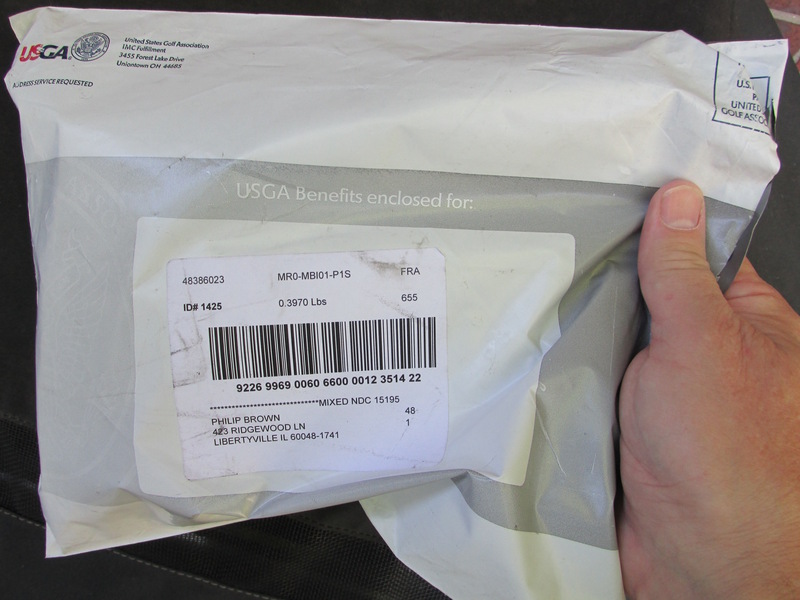 This week, the USGA kit arrived. Inside the lumpy plastic package I found my new member card, and a bag tag, branded with my name, and a framable picture of Chambers Bay, site of the 2015 Open. And more…there inside the package was a new hat–but it was gray. No! 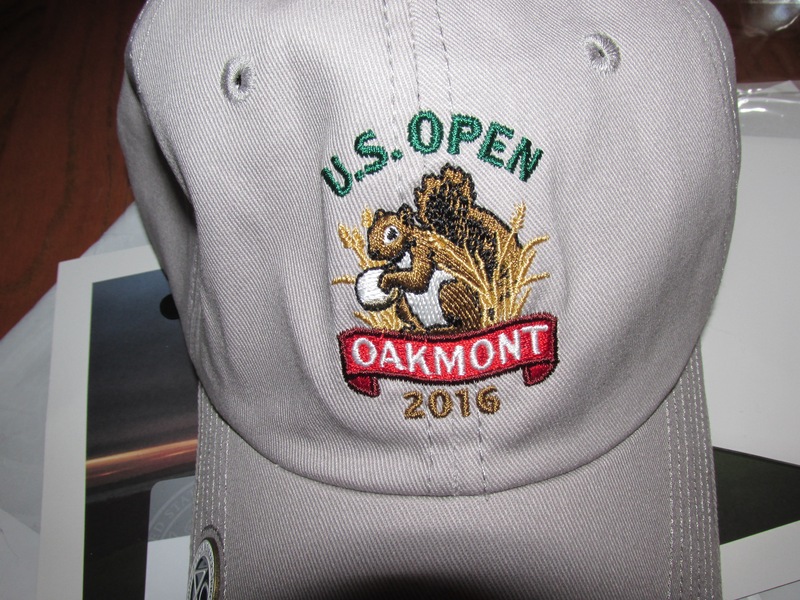 This hat is for the 2016 Open in Oakmont. 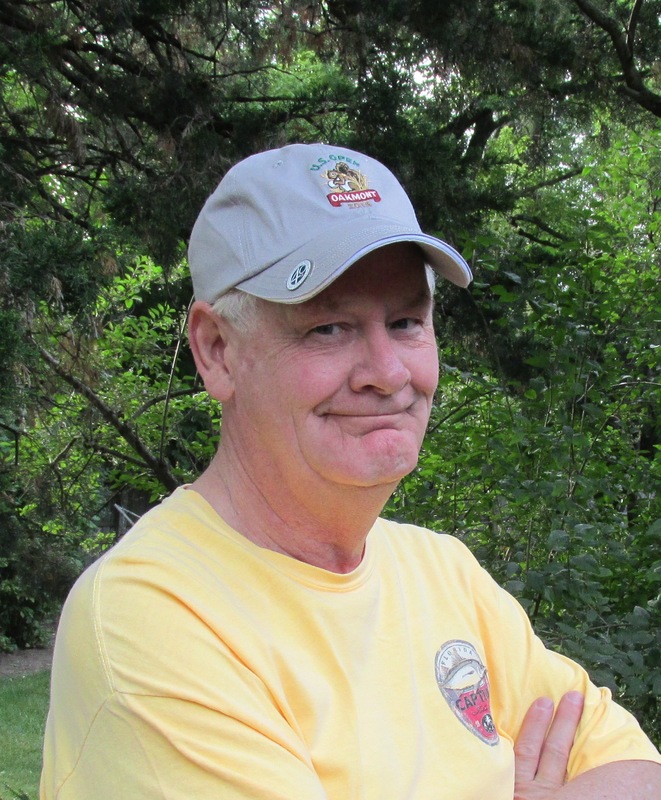 I have no idea where that is, but according to the hat, there are squirrels, and acorns. Perhaps there are groundhogs too. But the USGA prize committee could not contain themselves by merely presenting me with a new lid. 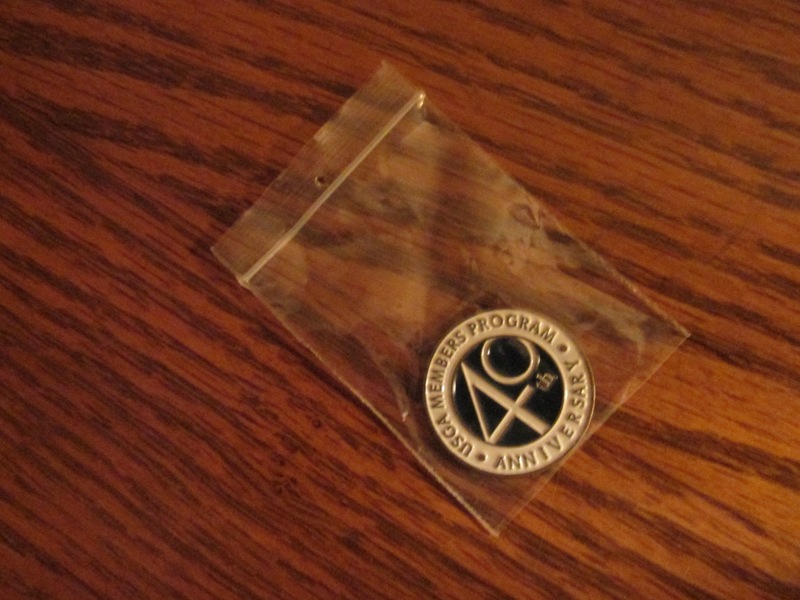 They also sent along a USGA 40th Anniversary metal ball marker. Double surprise! A ball marker! This little disk is used to mark the fictional place of my golf ball as it rests closest to the pin. I have never had the pleasure of seeing that, but I hope to one day. But wait, there’s more. It’s magnetized. 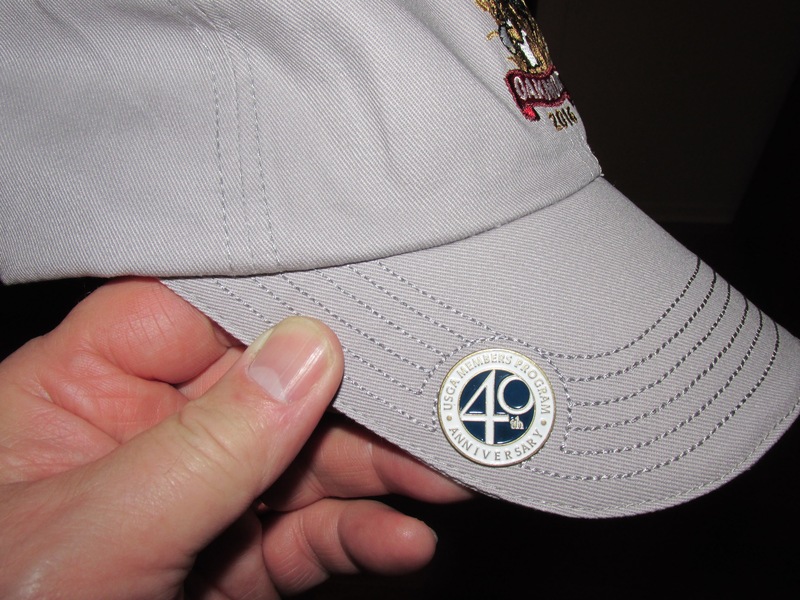 Even better, however, the prize committee designated that the ball marker have a special place of its own: it attaches to a magnet on the visor of my new cap. Wow! Like many bad hooks off the neighboring tee box, I truly did not see this coming. Of course, the cap is firmly held in place even on the windiest fairways as the magnet rests over the metal plate in my skull. Years ago we were introduced to the concept of lagniappe. This is the art of giving a little extra. It wins a customer for life. Good marketers always work lagniappe, and the USGA has cultivated the technique. The course beckons; the marker is poised. With luck, they may someday improve my game. Thanks for reading! Please share. Oakmont is outside of Pittsburgh, PA.
Great writing from a lousy golfer. Hi Karen! What’s better than a long walk interrupted by violent swings at elusive objects? Nice to hear from you! i propose him/her to visit this weblog, Keep up the good job. Thanks for reading! I hope you enjoyed it as much as I enjoy writing it. We look forward to the latest that comes in our mail box! Thanks for reading!